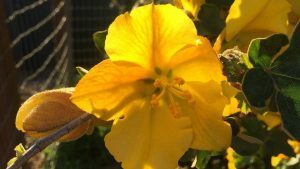 This presentation begins as an introduction of selecting plants or seed to augment nectar or pollen production on ones property. 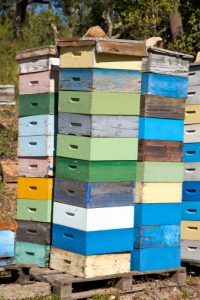 Will those local plantings however increase the yield of your hive? The answer is a resounding NO. Rarely can your own property provide the feeding range that might affect honey production. Livability of the hive perhaps? I will begin with that. The talk will continue with specific pollen and nectar friendly plant choices, landscaping ideas and discussion upon site layout. 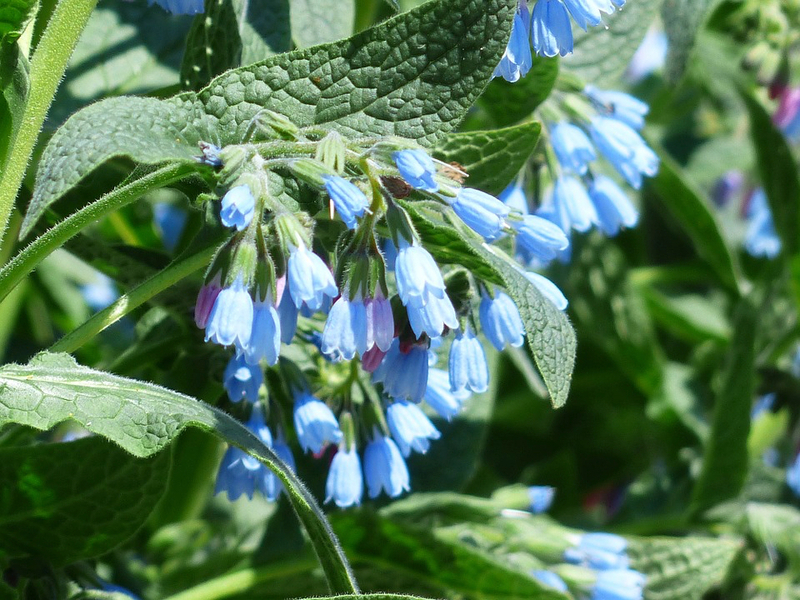 Your own garden potential is often complicated as you will have many mini climate zones that may contribute to the success or failure of your hive. There is no perfect location but these are factors to consider. Placing your bees near transformers or under power lines is another problem child. Don’t. I feel the same way about Wi-Fi and communication towers. Same for the upcoming 5G cellphone network revolution. INSECT DECLINE LINK. One should also avoid placing hives under evergreen trees that will constantly drip moisture down onto the hive, esp. in the winter. Hives need to dry out. South or west facing exposures are best. Bees appreciate a quiet neighborhood. So placement near a busy road is another issue as is a lawn placement that always need mowing. It may well be suggestive to use a hand mower or scythe near the hive rather than a gasoline powered one. 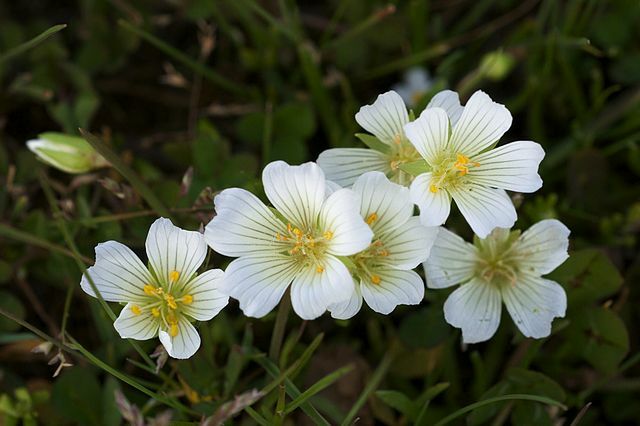 If that is all you have, try not to mow during the nectar flowering time. Structure of the plant material chosen will also effect the success of your windscreen. 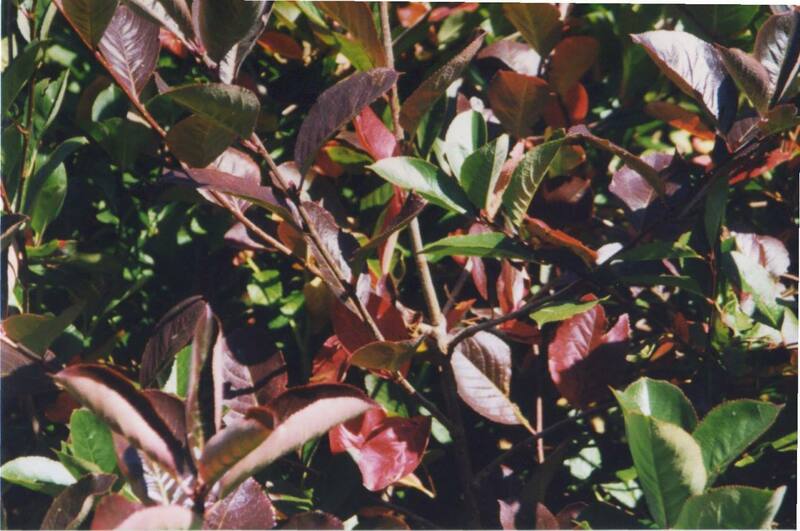 Quite often the somewhat open nature of Mryica californica (a myrtle) or Salix purpurea (a blue willow) will be far superior to the denseness of Portuguese Laurel (Prunus lusitanica) Such plants are like buildings, fences or roofs. The prevailing wind hits – travels and bounces down. You want the wind to go through your hedge and be sieved into a lesser force. 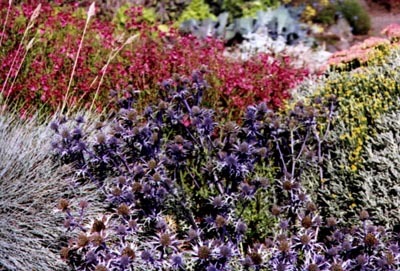 Later we will proceed to plantings that could be used to make your landscape both more interesting and insect friendly. 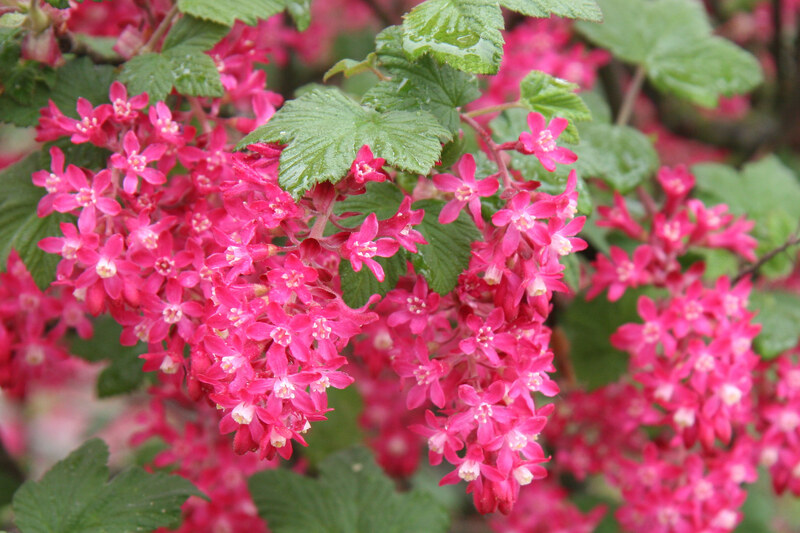 Trees and shrubs may be planted at any time of the year but generally fall is the best time and you may indeed find many sales at your local nurseries. Selection, esp. 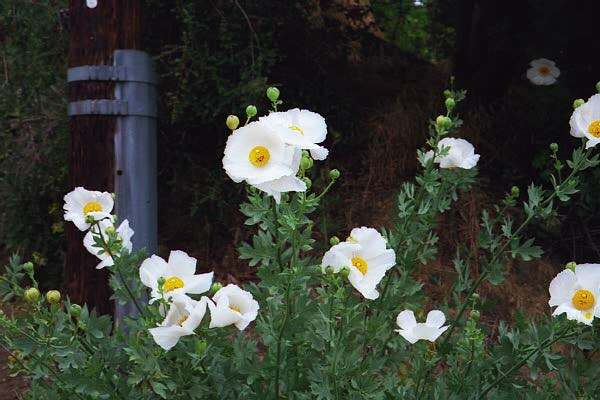 of the rarer plants will be more limited. Desert Northwest – is a Sequim nursery with limited retail days, but give Ian a call. 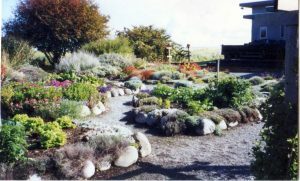 The Greenhouse Nursery near Port Angeles. New Dungeness Nursery in Dungeness of course. All landscaping should begin with the caution that it is good to remember that a good neighbor is a fellow that smiles you over the back fence but doesn’t climb over it. Important to remember before planting the ubiquitous Leyland Cypress. 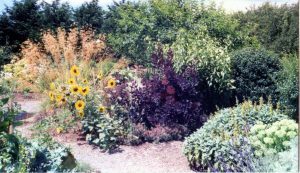 This presentation provides a great many landscape scenes of local gardens I worked for and created during my landscaping years. I hope you find your own harvest in seeing them. Looking back it has been a nice legacy to leave behind. 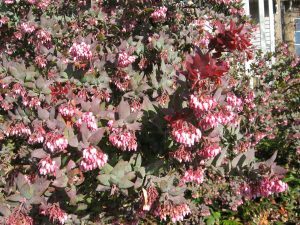 As for actual re-cropping of actual acreage you will find many seed sources on line and perhaps be able to special order from Coastal in Sequim. 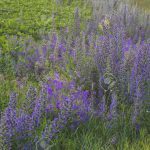 Crimson Clover, Alfalfa and Buckwheat are three plants to consider. 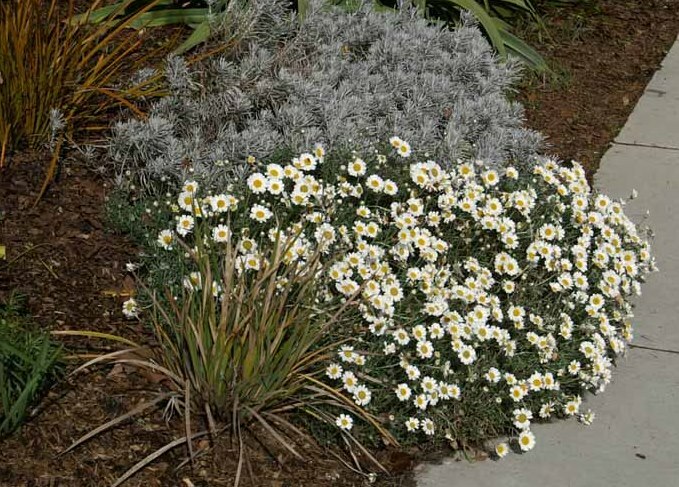 For the smaller garden, you can introduce any of the following to your landscape. Similarly to the good neighbor issue, you do NOT want to introduce seed that may become intrusive and is a weed to the neighborhood. 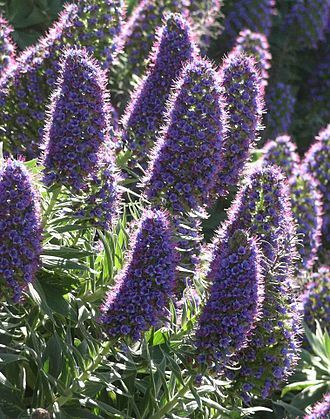 Echium vulgare (viper bugloss) or comes to mind. 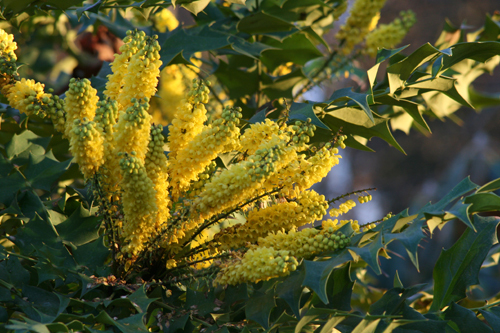 Native plants such as Mahonia (Oregon Grape) may surprise you in the range of cultivars now available. Some are hybrids and others are related cousins from other parts of the world. Friendly kissing cousins one might say. Mahonia media ‘Charity’ is one example. 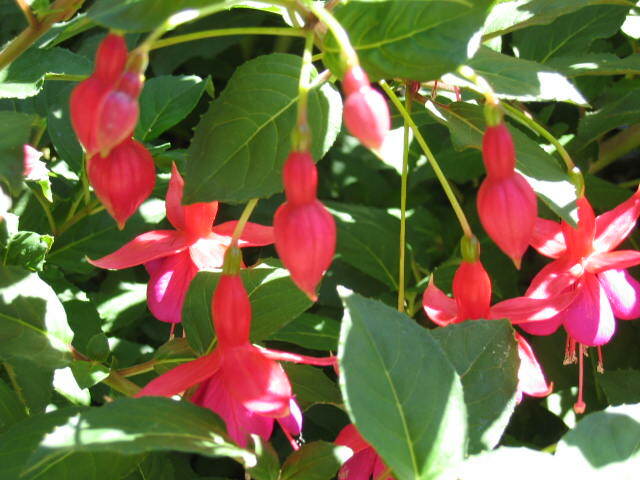 Ribies sanguinium or Flowering Current also is available in named varieties that include white and pink forms. In near all cases hybrids, esp. 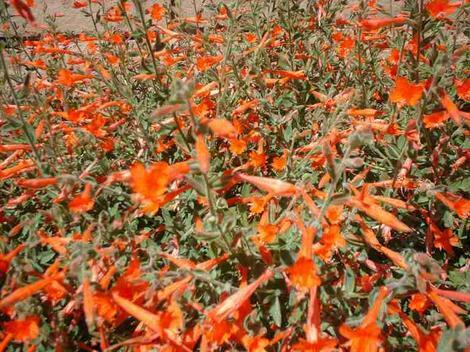 patented or ‘NAMED’ varieties are worth buying over seedling stock as they have been patented for a reason. 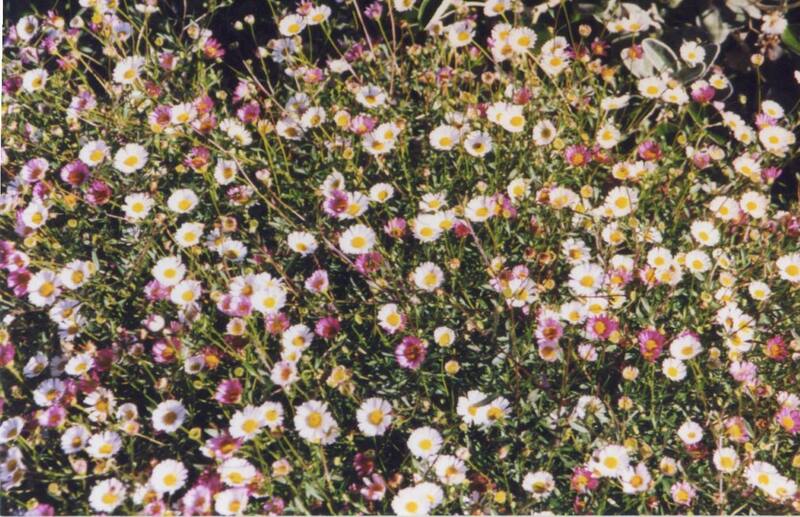 These are: better disease resistance, better fruit or flower production or at the very least, length of bloom. 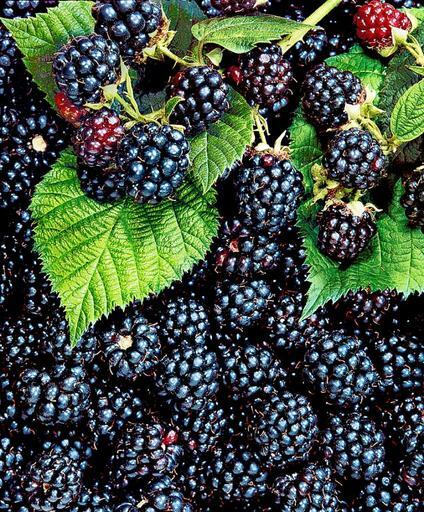 This applies equally to fruiting or edible plants such as the favorite blackberry. 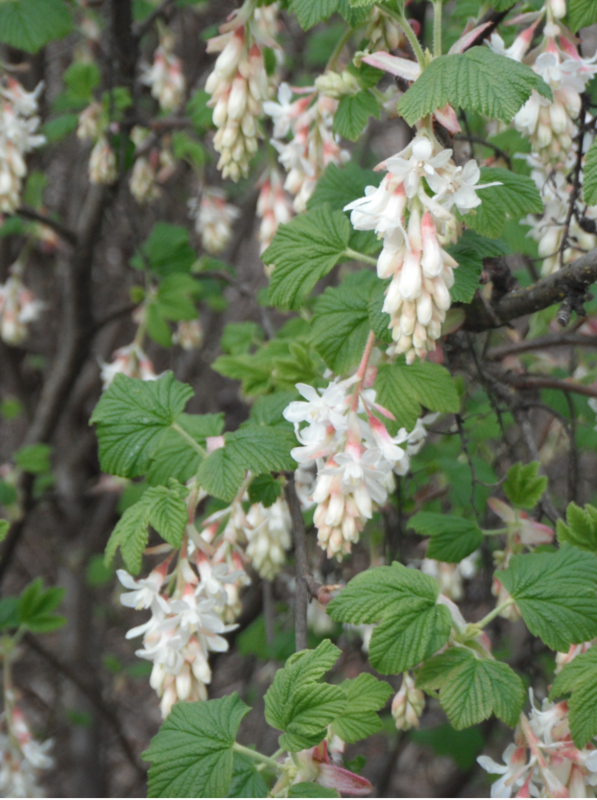 The new thornless Rubus ‘Natchez’ and ‘Triple Crown’ not only out bear the regular berry but have larger flowers and a slightly different blossom date. Blueberries are similar – but always try to buy the NEWER cultivars over the old. 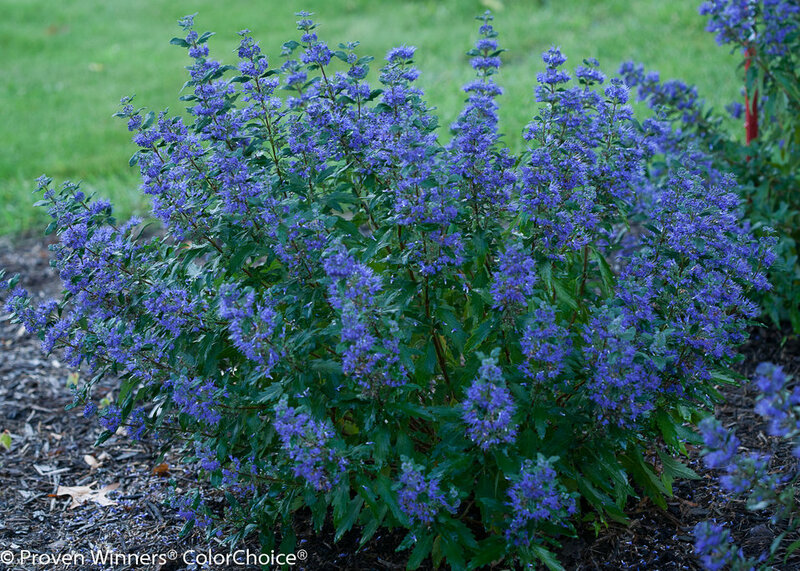 Ornamental forms such as the dwarf Southern hybrids ‘Sunshine Blue Dwarf’‘ not only provide attractive landscape offerings but do well in pots as well. 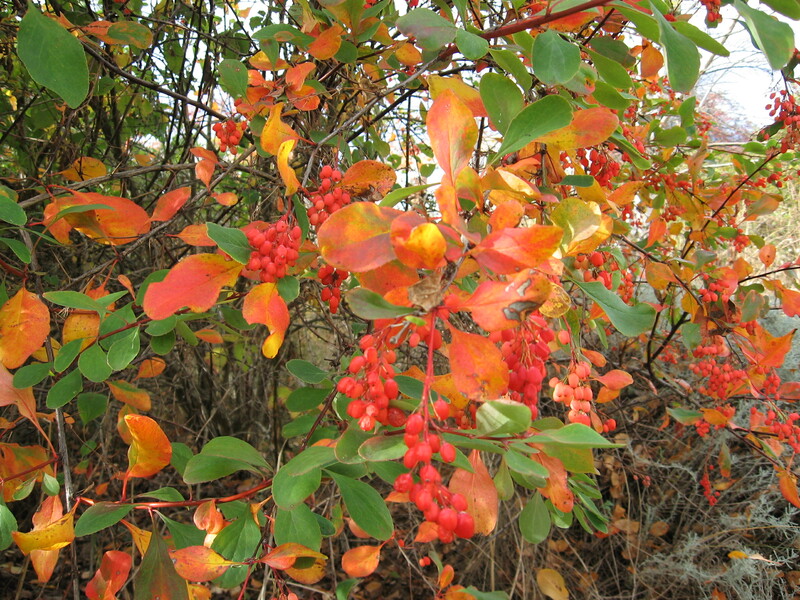 This form is especially noteworthy as is Aronia melancarpa (chokecherry). Another berried fruit one should plant. Flowering or edible Quince also join the planting list with the apple tree. Hazelnuts and especially the contorted filbert are well worth looking into. 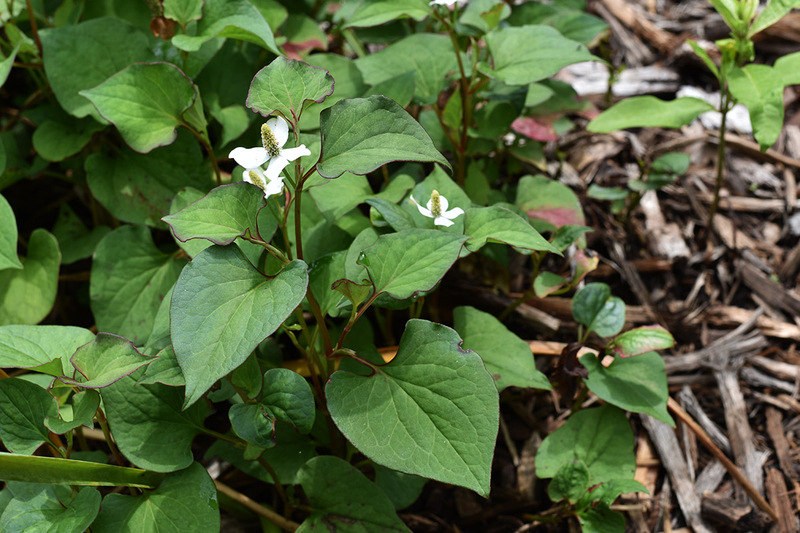 Returning to introducing plants from other areas … I always caution one to consider the plants invasive potential. 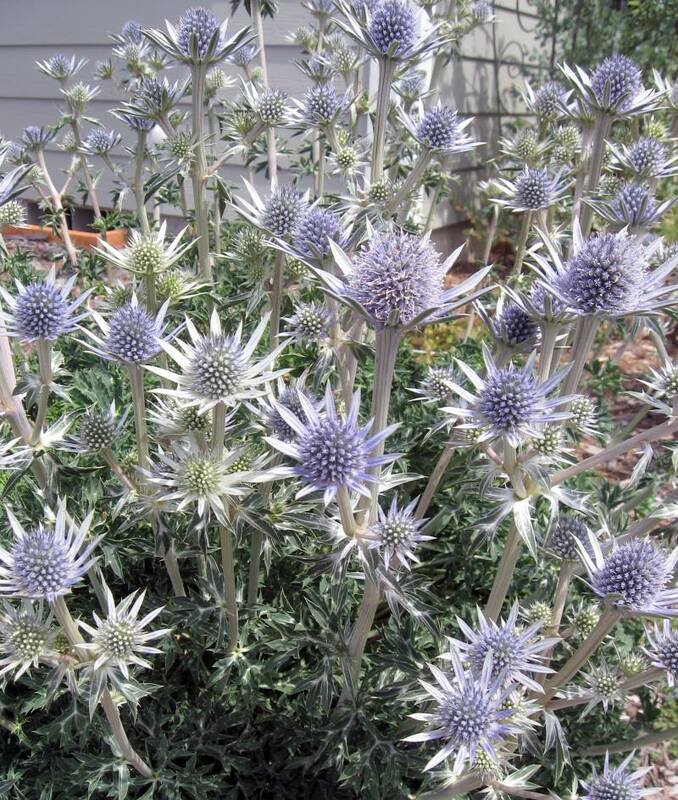 If the plant catalog suggests that it is an ‘adventurous’ plant or one that likes to travel give it a pass. 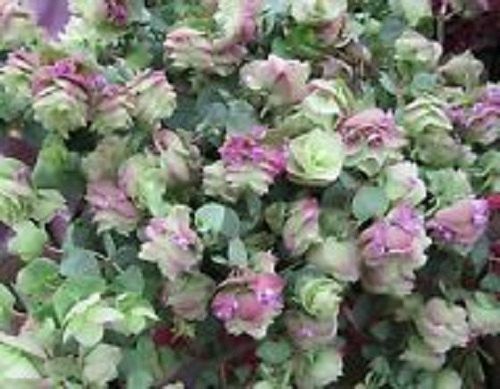 Houttuynia or Chameleon plant is a good example. 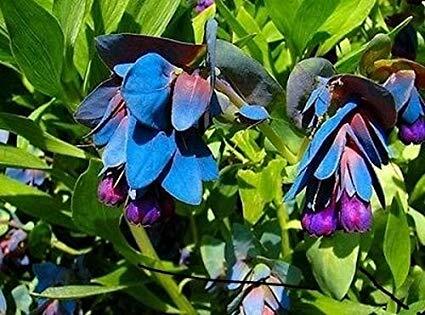 Bees love it, but introducing it to your garden is like inviting the Hell’s Angels to a choir meeting. You do not want to go there. 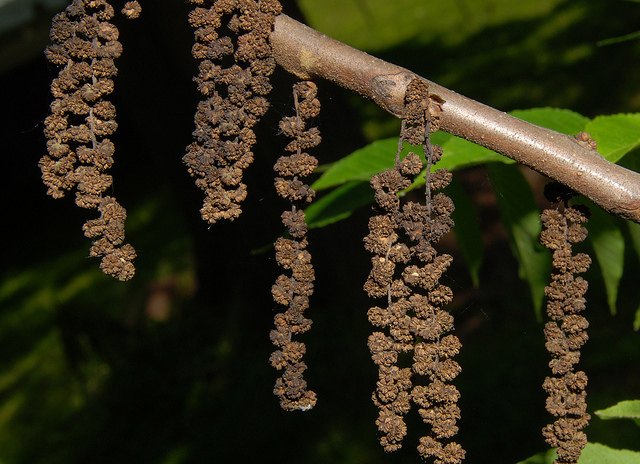 The same goes for Holly, which may not spread by stolons but by seed. Since I have arrived here, the holly tree and Ivy plant have become very noxious weeds that have spread well into the Park system. Do not plant them, unless you have a STERILE male form. 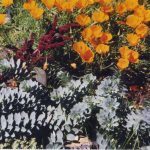 Getting to the introduction of non- native plants: back in the 80’s Skyline Nursery and now Desert Northwest and Far Reaches Farms may introduce you to plants from California to Australia and Chile. It is important to consider the origin of a plant. 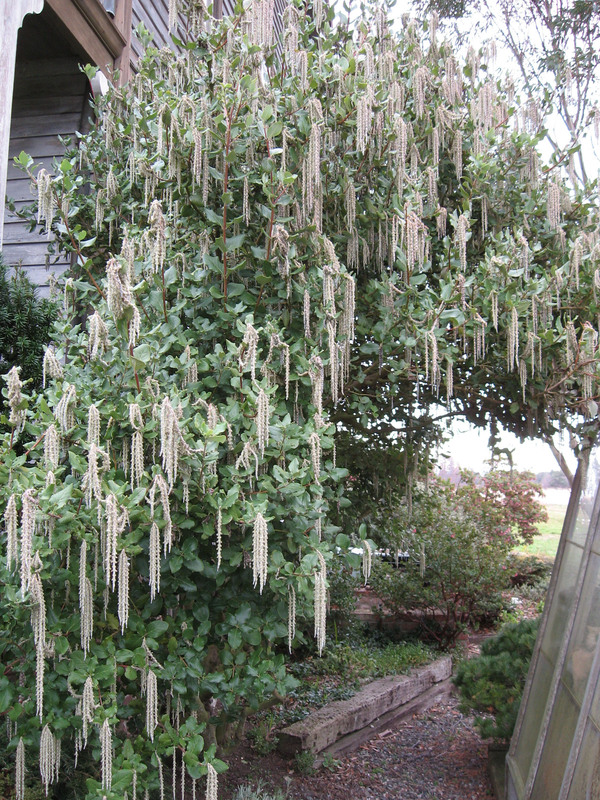 Plants from a dry area such as in Australia as Grevillea or SOME hardy Bottle-brush will do well in Sequim but not in P.A. or points west. 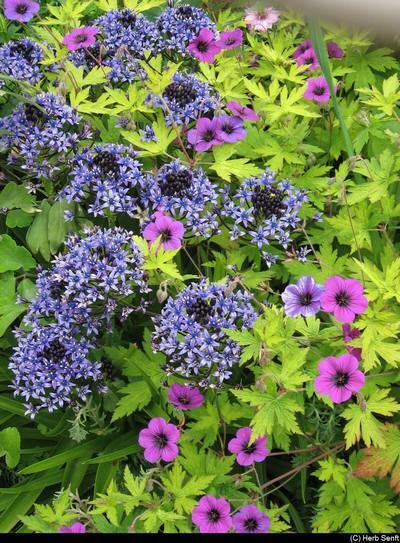 The same goes for the lovely combination of Fremontia and Ceanothus. Just remember that not all cultivars are hardy and nurseries often oversell their hardiness factors. Hebe’s from NZ. are a good example. People forget that this area can get into the single digits as in 1984. Say good bye to your landscape. As an aside, I should also note that all young plants or trees will die if their trunk caliper is small, no matter their hardiness. That is a matter of bark damage between freeze and thaw cycles. Wrapping or covering these young plants is a smart thing to do. 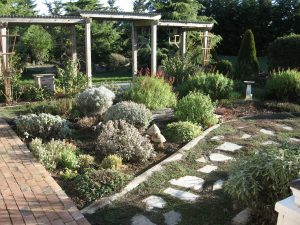 Another consideration in landscaping is placement, all too often gardeners over-plant and one spends unnecessary money in the doing. 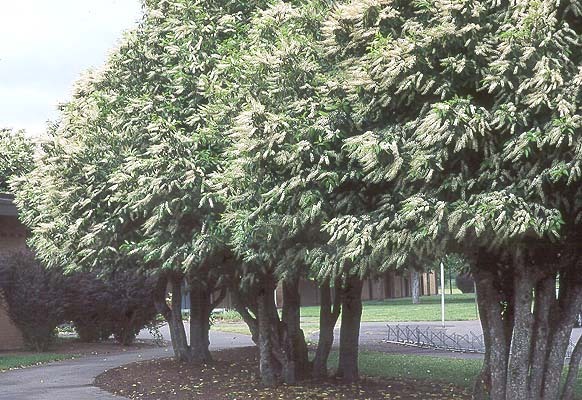 Trees, put in as a hedge are one exception. 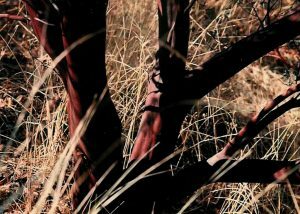 All too often I have seen Manzanita ground covers that grow at least 3 feet to 5 wide planted on one foot spacing’s and close to the sidewalk. That is foolish and will actually cost you in future maintenance problems. 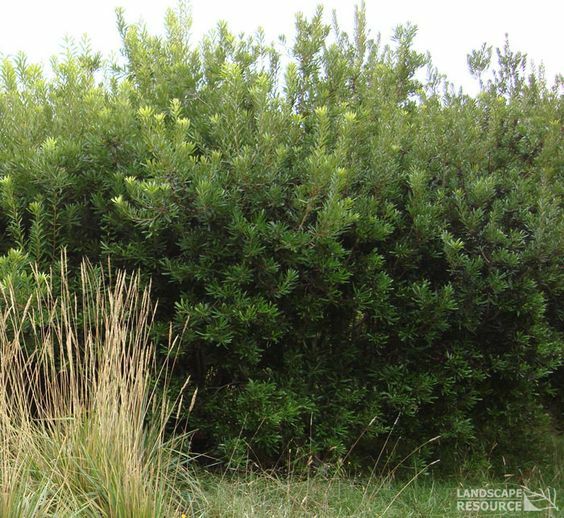 Tall Manzanitas like pajaroensis are exceptional and resemble small Madrona trees. 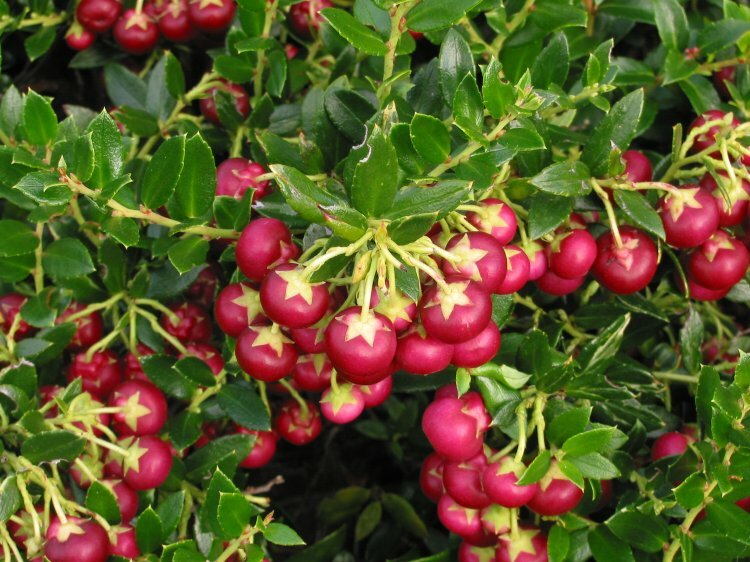 Please consider these as well as the Arbutus unedo family to which it is related. 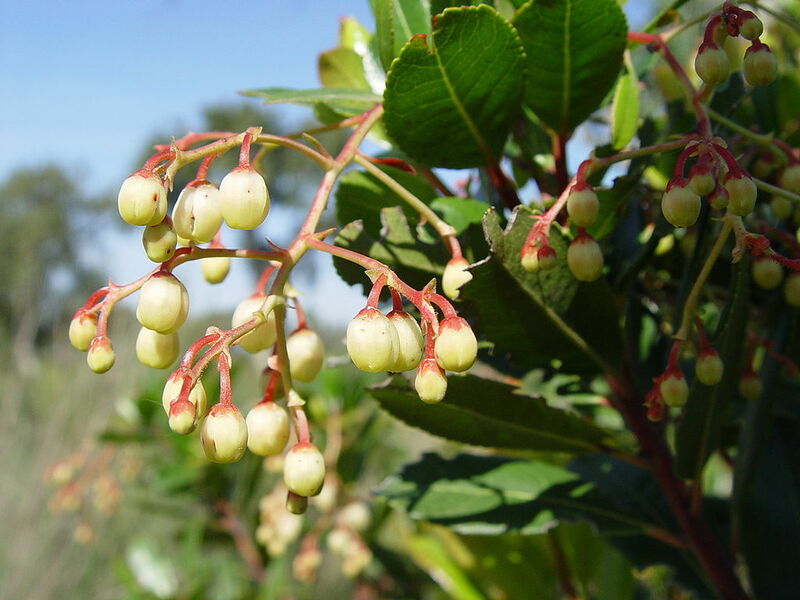 Arbutus makes a great hedge and comes in dwarf and treelike forms and produces nectar in December and January. 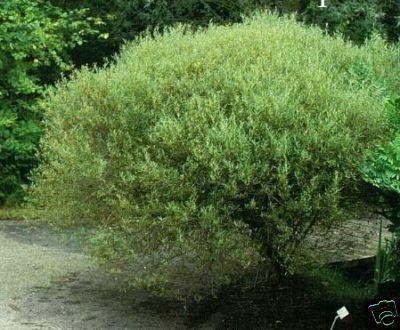 Many of the plants I have mentioned are nectar producers but it is equally important to add shrub and plants that produce pollen, like the willow which has an amazing list of wonderful landscape selections. A few other suggestions. Your Walnut tree is another fantastic pollen source in summer and bees really work this one over. 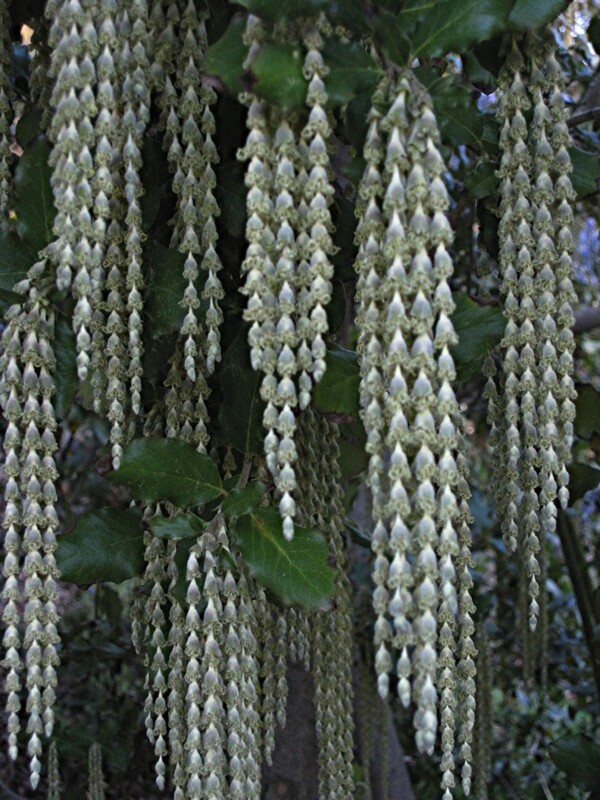 So is the never to be forgotten west coast native Silk Tassel tree which begins blooming in January and continues for a few months. Close up picture. Pollen COLOR chart! Always remember that YOUR efforts in landscaping will influence your neighbor and the entire neighborhood. 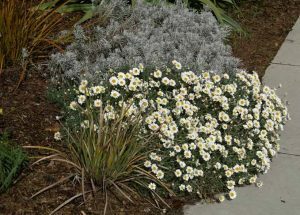 You might even replace that sterile lawn with dwarf Manzanita or hardy ice plant. 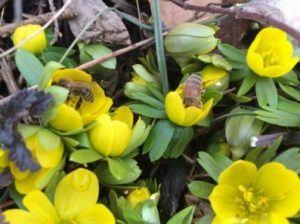 Planting for food resource for bees will have a multiplying affect if your neighbors also plant trees, shrubs and flowers that entice insects. Having more close sourced food sources will also mean shorter flights and production on less than optimum days. 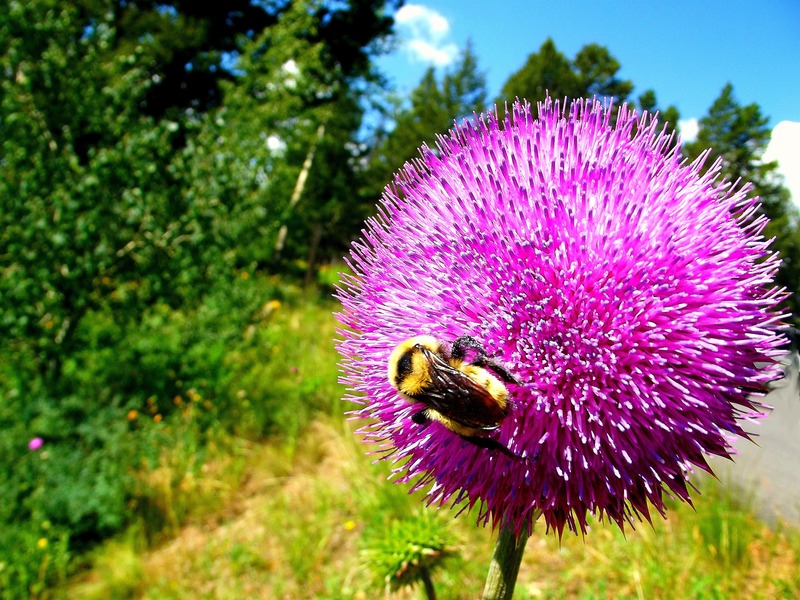 More nectar and more pollen sources mean more hives that will survive. 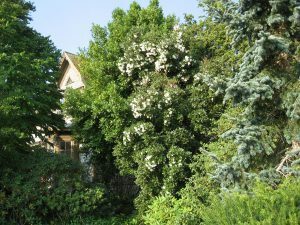 Quite simply: your efforts on your property will make a large difference in ways that logic and statistics may not support and landscaping with insects in mind will have bonuses that are difficult to put a number to. In the end, sitting in your garden chair watching your bees sup on the Fremontia or herb garden flush with thyme will pay off both in enjoyment as well as the knowing you have done something good for the planet … connecting with nature has now begun in your own garden. 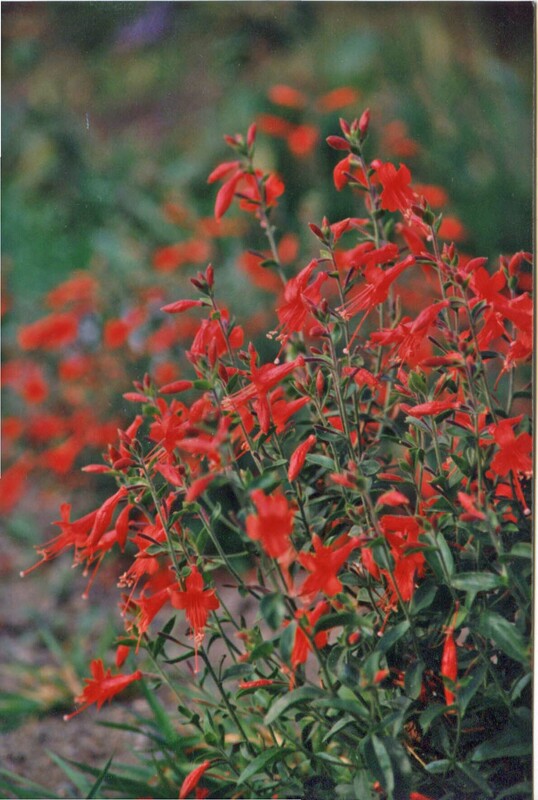 Sunset magazine, the Internet and my web pages have many lists of plants that attract hummingbirds, butterflies or bees. I suggest you digest these and enjoy. An old Hummingbird and Butterfly page. 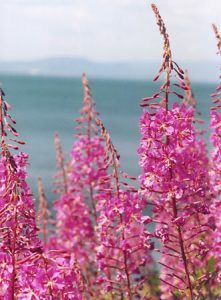 Our own club has this reference book: Nectar and Pollen Plants of Oregon and the Pacific Northwest – Do check out our incredible newsletters. 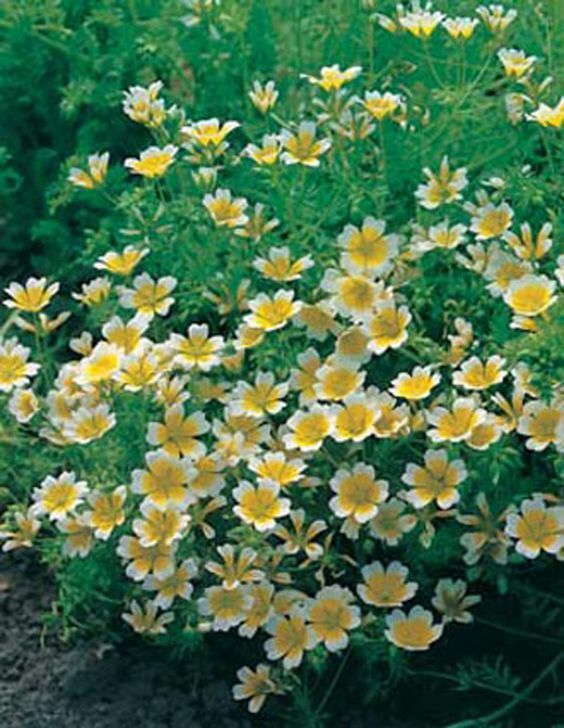 Annuals worth seeking out include Allysum, Clarkia, Cleome, Lobelia, Papaver (Opium Poppy). 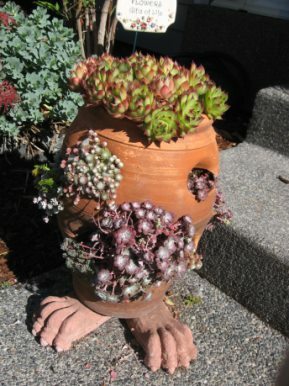 Container gardening? 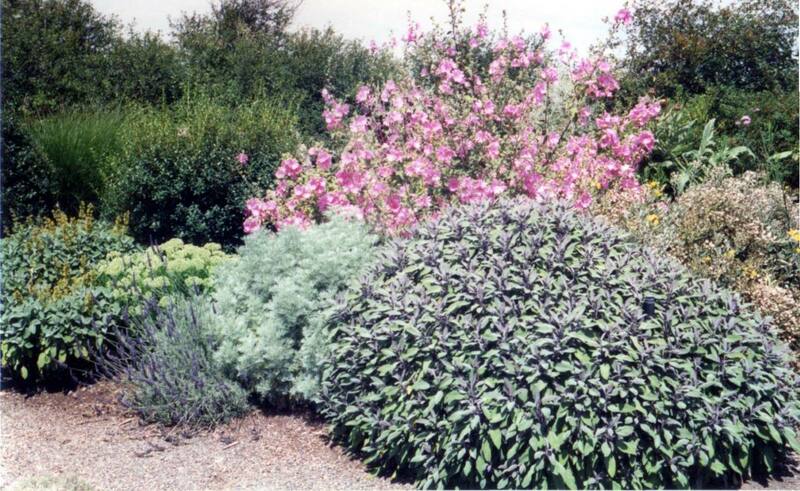 Try planting Godetia, Nemesia and Salpigloss as bedfellows. AWESOME! Add Chocolate Cosmos for extra spice. 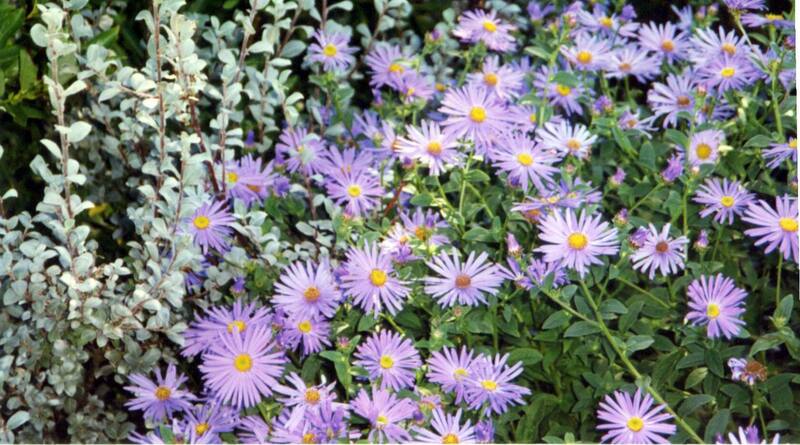 A few noteworthy Perennials. Agapanthus, Allium, Armeria, Aruncus, (Goats beard), Aubretia, Aster, Borage, Caryopteris, Comfrey, Cerostigma (Plumbago), Chrysanthemum hosmariense, Coreopsis, Crocosmia, Diascia, Erigeron – tall or dwarf (Fleabane) Eremurus (Foxtail Lily) Eryngium (Sea Holly) Kniphofia (Poker plants), Cleomes, Gentian, Gypsophylia (Baby’s Breath), Helenium and Helianthus (sunflower family) Liatrus, Linum (Blue Flax) Monarda, Lupine, Nepeta (cat mint) Penstemon, Snow in Summer, violets, PENSTEMON, Perovskia, Salvia including Sages, Solidago (Goldenrod) Thalictrum (Meadow Rue) Zauschneria are but a few. 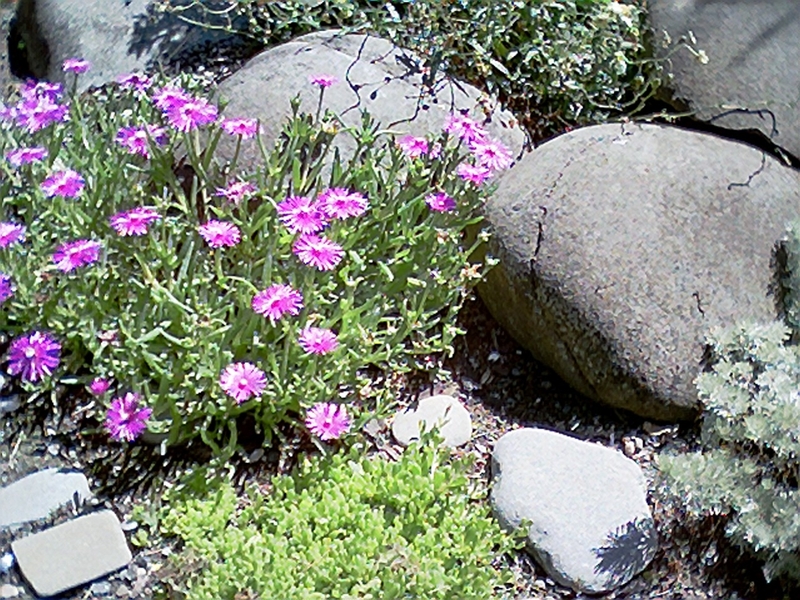 Thyme, Hen and Chicks, hardy ice plant (Delosperma) oregano’s, rosemary and sedums for dry garden sites. 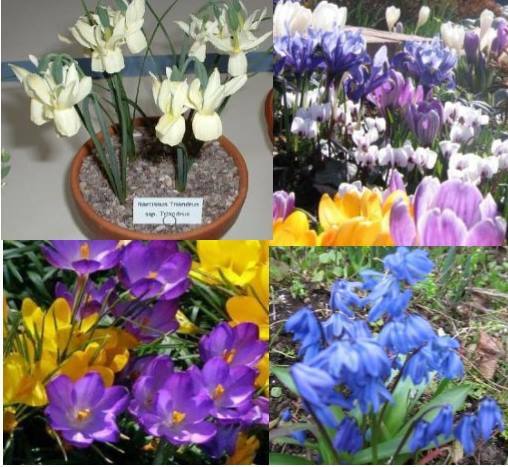 Bulbs would certainly include the early Snow drops and specie crocus. 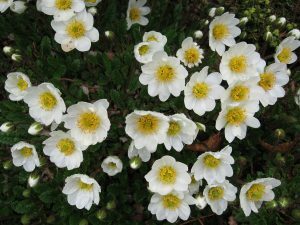 A good companion to Snowdrops, Winter Aconites will live for years without any disturbance and successful under large shade trees like Birch. These bulbs are an important nectar/pollen source for hungry honeybees. Scilla and many others come along during the year. 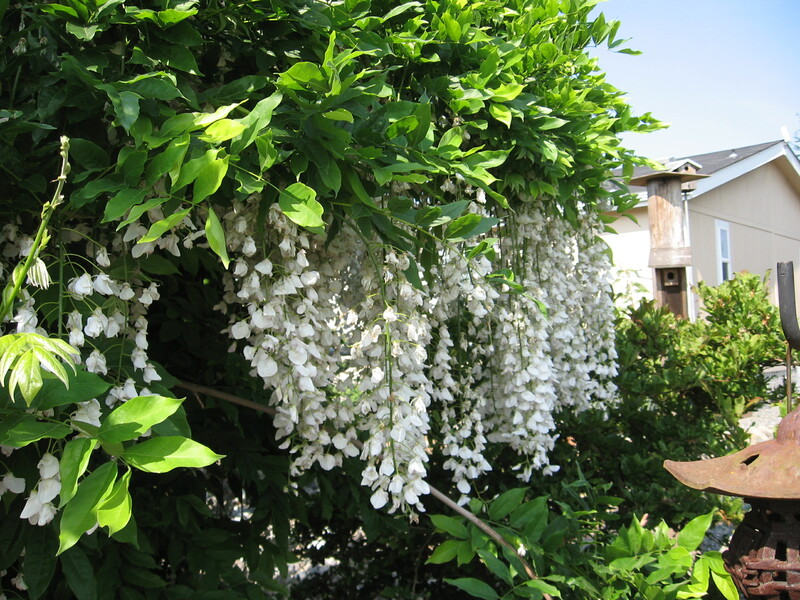 For shrubs and vines you cannot beat Wisteria in the garden. Or the pruning of it! Clematis armandii or montana or honeysuckle. 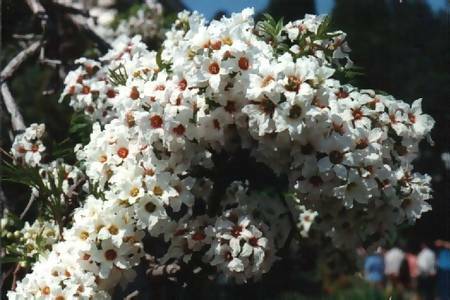 Abelia and Weigelia, Arbutus, barberry, heather’s, Daphne odora, Ceanothus, Fremontia, Matillya poppy Flw. 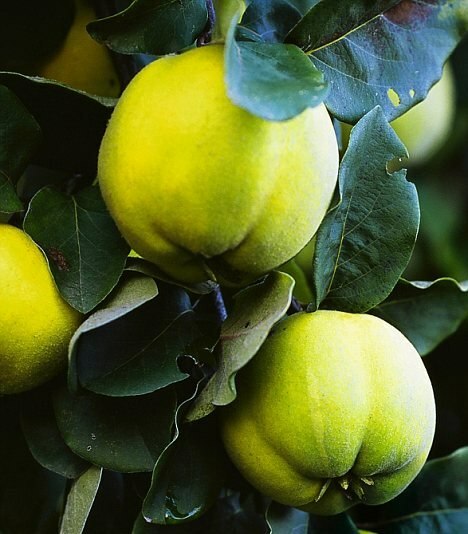 Quince or edible, concertmaster, hardy fuchsias, lavender of course, currents, Rose species like rugosa or rubignosa and lilacs. 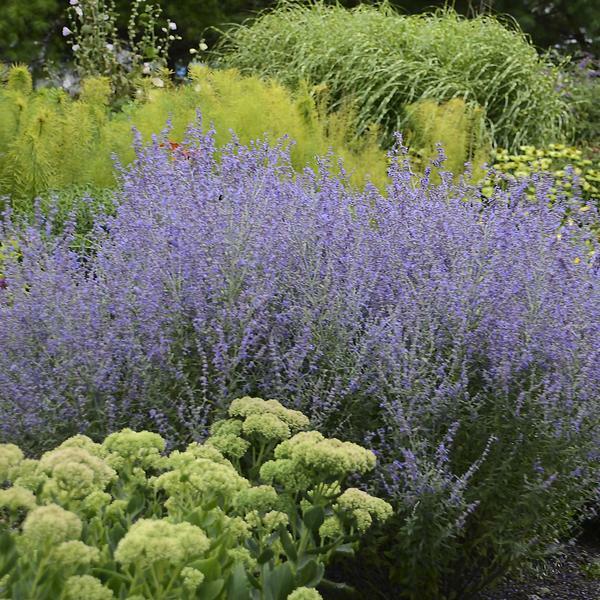 Caryopteris (Bluebird) and Russian Sage Perovskia are two late summer favorites. Sarcococca ruscifolia. Spirea species. 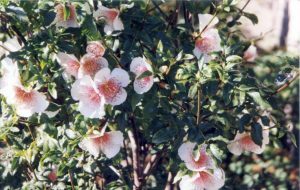 In lesser used trees we have the Service Berry, (Amelancher) tulip tree, Liriodendron, Chilopsis or hybrids, hardy Eucalyptus and the wonderful Greek bay, Laurus nobilis Nyssa sylvatica (Tupelo tree) and the Eucryphia family from Chili and NZ or Xanthocerus from China. Some of these have Pacific Northwest origins and Lupines, Huckleberries, Olearia (Indian Plum) Salal and the Pernettia hybrid Gualnettia are always worth getting, less so Poison Oak, which does grow here and produces wonderful honey. Native ground Frageria chiloensiis (Evergreen Strawberry) Native Spirea – for wetter areas. 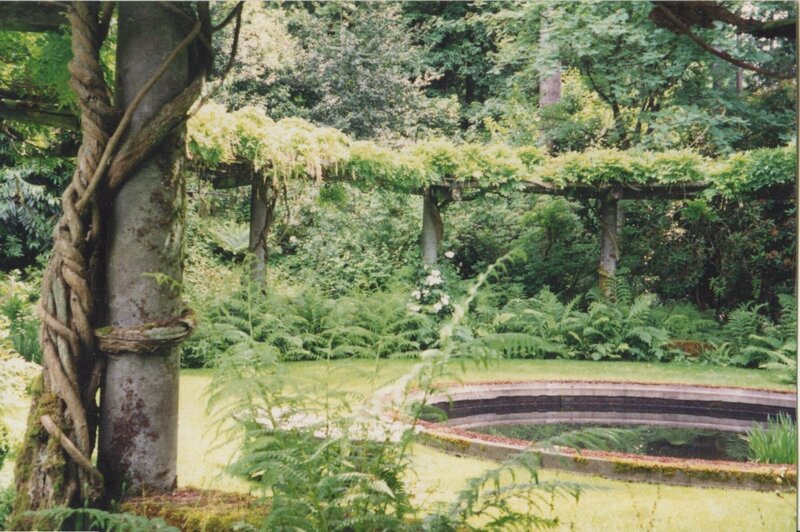 Living today in the Pacific Northwet, I often grieve over my Redwood Drive property in Santa Cruz. 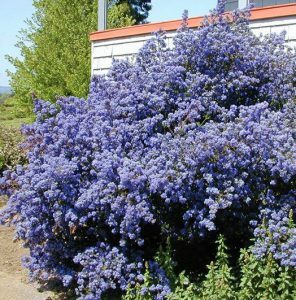 It included a hillside landscaped with six foot mounds of Dark Star Ceanothus beneath nectar dripping Fremontia trees. 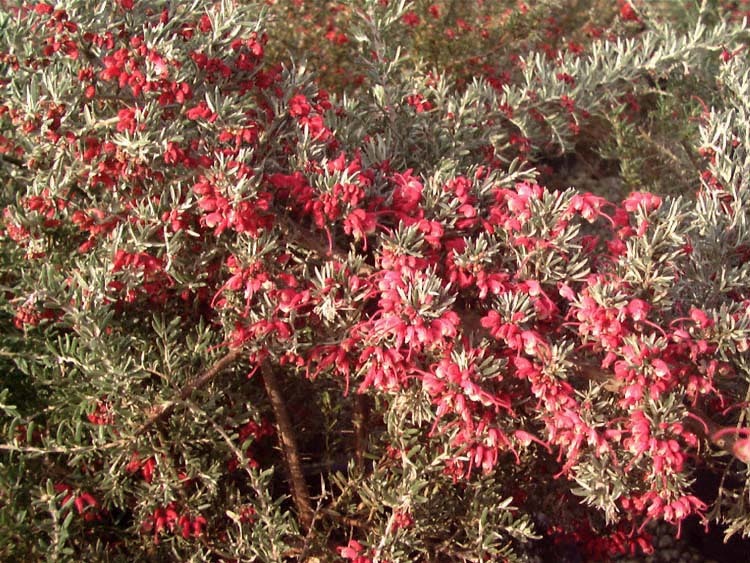 And to add to the Rainbow effect red Grevillea ‘Aromas‘ were tucked all over. Bees from neighboring Watsonville would make the energized trip to visit this scrumptious feast. 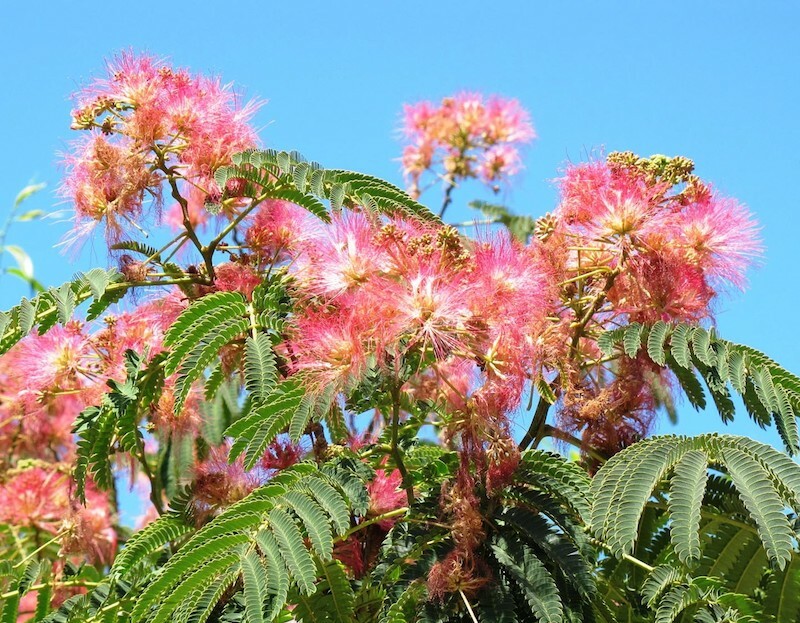 The line of pink blooming Albizzia trees along the driveway led the way – I only wish the climate had been warm enough for purple Jacaranda. And so it goes. And never forget the WEEDS! 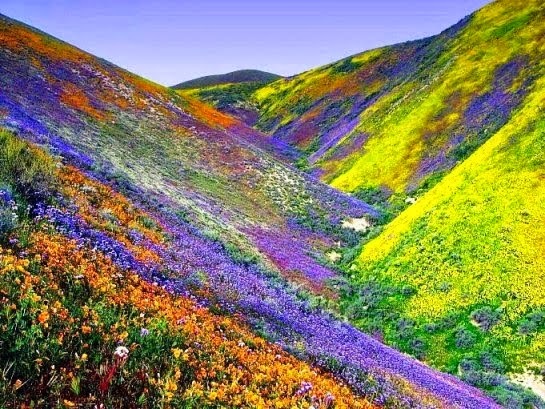 A picture of a Chilean desert scene like no other. The Atacama. More from eBay sources: Agastache mexicana, Cerinthe major (Honeywort), Cosmos, Diascia, Globularia punctata, Japanese wildflower mix, Limonium (Statice), Linum perenne, Meadow Flw. mix, Nigella (Love in the Mist).